The Maydan is an online publication of the Ali Vural Ak Center for Global Islamic Studies at George Mason University. The Maydan team is composed of the Center's faculty members and graduate students both within and outside GMU. Graduate students as well as professionals in the field of Islamic and Middle Eastern studies often seek language programs that best fit their school/work schedule and budget. The list below presents a one-stop shop informational database to help our readers identify available language programs. Information on the following programs was submitted by the program administrators. Information on the following programs was prepared by the Maydan editorial team. Synopsis: In the Arabic School, you’ll master vocabulary and syntax, but also learn how to engage effectively with Arab culture. The focus will be on Modern Standard Arabic during five daily classroom hours, with optional sessions offered in colloquial dialects such as Moroccan, Egyptian, and Syrian. Outside the classroom, you’ll select from a wide array of in-language cocurricular activities—including calligraphy, cooking, cinema, and more—each designed to help you build new vocabulary while developing cultural fluency. All students follow the Language Pledge. The Arabic School draws from among the leading scholars of the Middle East, Africa, Europe, the United States, and Canada. Our faculty will support you at every step, helping you perfect your Arabic as you dive into Arab culture for eight or six intensive and fruitful weeks. All Arabic School students study at our West Coast site at Mills College, in Oakland, California. The 8-week program offers courses at levels 1 through 4, including the half-levels 1.5, 2.5, and 3.5. Placement is determined by examination at the beginning of the session. The 8-week program typically enrolls a highly diverse student body, including undergraduates, graduate students, recent graduates, and professionals. Some need-based and merit-based aid is available. The Arabic School’s MA degree program offers a six week session with rigorous graduate instruction in content areas and Arabic as the language of instruction, discussion, and assignments. Graduate-level proficiency in Arabic is a requirement for admission. Two tracks are available: a general track in Arabic studies, featuring in-language coursework on topics in Arabic literature and Arab culture and society; and an Arabic language pedagogy track, offering advanced training in Teaching Arabic as a Foreign Language (TAFL). For more information, please visit Graduate Studies in Arabic. The Language Schools meet 100% of demonstrated need for the students in the summer graduate program. Prerequisites: All visiting students registering for courses beyond the beginner level Arabic or Persian are required to take an online language placement test. The online placement test is administered through Blackboard, so students cannot take the test until they have been admitted and have a university NetID and password. Students who do not take the online language placement test prior to the start of classes must take the on-site placement test on the first day of each session. Instructions for taking either the online placement test or on-site placement test will be emailed to each student prior to the start of classes. Scholarship Availability: Partial Tuition Scholarship available for visiting students. We review applications after an applicant is admitted and scholarships are awarded on a first-come, first-served basis. The typical scholarship award is one credit for every three credits taken. Housing Availability: Summer Sessions students are not required to live on campus, but on- campus housing is available through the Summer Housing Office. Students who choose to live on campus may also be interested in purchasing a meal plan through Dining Services. Visa Sponsorship: By provision of federal law, the Department of Homeland Security has strict reporting requirements for schools that enroll foreign nationals. All admitted international students (including permanent residents) are required to report accurate citizenship and immigration status via an immigration questionnaire. Georgetown highly encourages summer students to apply for F-1 visas for participation in all academic summer sessions. Students who choose to enter the United States in tourist status and enroll in a summer course of study may be considered in violation of that status. International students will receive additional information upon admission. Synopsis: Improve conversational abilities and build awareness of the culture and history of language through both intensive and non-intensive course formats. Foreign Language Institutes are offered in French, Spanish, German, Arabic, and Persian. The Language Institutes at Georgetown offer students the opportunity to acquire or master skills in reading, writing, listening, and speaking. With instruction grounded in meaningful and context-based interactions you will learn how to accomplish language tasks in both formal and informal situations. Language instruction is proficiency-oriented and imparts cultural experiences and knowledge. Institution: Harvard University houses the program’s administrative offices, and is part of the CASA Consortium, which consists of 27 university Arabic and Middle East Studies Departments/Centers who’s representatives support and guide the operations of the program. Prerequisites: Applicants must be US citizens or permanent residents. They also must fall into one of the following categories: (a) current graduate students (e.g., PhD or MA student); (b) undergraduate students in their senior year; or (c) holders of either a bachelor’s or master’s degree. Non-US citizens or permanent residents are welcome to apply to CASA, and if accepted, may participate on a Pay-Your-Own-Way (PYOW) basis only. Applicants should complete approximately 3 years of formal instruction in Arabic prior to applying to the CASA program. The Selection Exam, which is part of the application process, will help determine your proficiency level. Scholarship Availability: Students who are accepted by the Selection Committee receive full tuition and a monthly stipend to assist with living expenses. Since we usually have capacity for more students than we can fund, we encourage students to apply for outside funding that can be applied to cover program costs in the event that they are selected as an alternate candidate who we may not have enough funding to cover. All participants are responsible for covering their program fee as well as travel and health insurance. Housing Availability: Typically students find and share apartments in the community in order to have more day to day interaction with the local culture and dialect. Past Fellows assist in the process of finding housing as do the program staff when necessary. Synopsis: CASA has provided advanced training in Arabic language and culture to over 1,700 individuals since 1967. CASA alumni have put their expertise to work, making significant contributions in education, research, diplomacy, law, business, finance, international development, journalism, and the arts. These diverse fields continue to rely on the pool of CASA-trained Arabic linguists and Middle East experts to fill a variety of professional needs. The CASA I program is a 9-month intensive Arabic language and culture program that is comprised of a fall and spring semester. 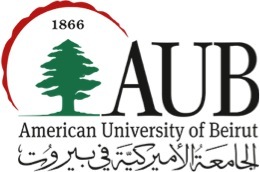 The program is held at the American University in Cairo and/or The Qasid Institute in Amman, Jordan depending on available funds and evaluation of safety and security. The fall semester is devoted to the overall development of all language skills (Colloquial and MSA – Reading, Writing, Listening and Speaking). CASA Without Borders, community-based learning projects or internships, offer fellows the opportunity to pursue long term projects outside of the classroom setting, and helps immerse them in the local culture and community. In the spring semester, Fellows have the chance to tailor the courses to their own academic and professional needs and to fully utilize the advanced language skills they have developed during the fall, in working with Arabic materials in their own fields of specialization. Examples of past spring courses include Modern Arabic Literature, Public Speaking, Advanced II Colloquial Arabic, Creative Writing, Islamic Studies, Civil War and Tribal Systems, History of Egypt, Qu’ran & Tafsir. Target Student Profile: Students currently enrolled in Masters or PhD programs. Qualified undergraduate students with demonstrated interest may also apply. Modern Turkish proficiency required. Scholarship Availability: The program offers a limited number of scholarships based on academic merit and financial need. It also offers discounted rates for students admitted to IHU graduate programs for Fall 2019. To be considered for scholarships, please submit a recommendation letter from a faculty member or administrator. 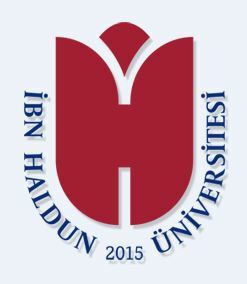 Synopsis: Ibn Haldun University Summer School’s language program offers intensive instruction in modern Turkish, Ottoman Turkish, Persian, and Arabic to international undergraduate and graduate students. The program is located in central Istanbul and aims to provide an immersive learning experience by combining its co-curricular activities with extracurricular activities including conversation tables and study hours, seminars by renowned scholars on history, politics, and literature and arts, cultural events, movie screenings, field trips to historical sites and archives. Synopsis: The Qasid Institute for Arabic is one of the leading centers in the Middle East for Arabic language learning. A comprehensive curriculum taught over five distinct levels takes a student from the proper pronunciation of letters to a level of mastery. The term Qasid is used to describe an individual who strives forward with a direct, specific intention, which is a fitting definition for the kind of student that Qasid attracts. 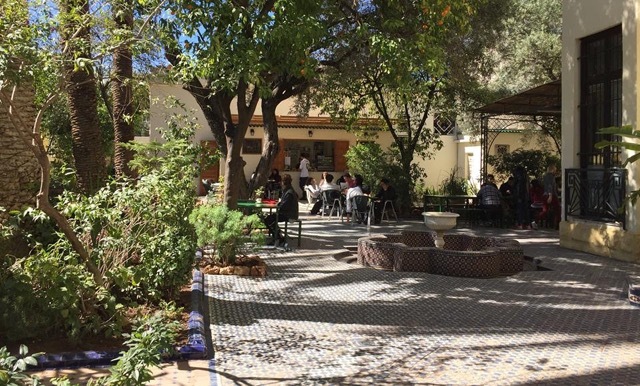 As the Qasid Arabic Institute’s reputation has grown, its programs have made it the program of choice in Amman for embassies, international organizations, non-governmental organizations and U.S. colleges and universities seeking excellence in Arabic language instruction. Though its programs are designed mainly for university-level students and busy professionals, Qasid students range in age from 15 to 65. They include embassy and consular officers, Fulbright researchers, fulltime mothers, medical doctors, Foreign Language and Area Studies Fellowship recipients, and Ivy League graduates. Class Times: Monday to Thursday, 10:00 a.m. – 3:00 p.m.
Target Student Profile: Applicants must be enrolled in a U.S. degree-granting program at the undergraduate or graduate level at the time of their application. Students in all disciplines, including business, engineering, sciences, social sciences, and humanities are encouraged to apply. Prerequisites: At least two semesters of Arabic at a college or university in the United States prior to the start of the program. Tuition: Students accepted into the program pay no tuition or administrative fees. Scholarship Availability: It is a scholarship a partially-funded scholarship. Students awarded the scholarship do not pay to take classes at SQCC. Housing Availability and Others: SQCC does not offer housing or other subsidies to participants. Students assume responsibility for paying their airfare ticket to D.C., accommodation, food, health insurance and any other miscellaneous living expenses for the duration of their stay in Washington, D.C.
Synopsis: The SQCC Sabla intensive summer language program in Washington, D.C. is designed to benefit current university-level Arabic students. The program offers courses at four different levels: Advanced Beginning, Low Intermediate, High Intermediate and Advanced. The program emphasizes the instruction of Modern Standard Arabic or MSA (fusha). The MSA program runs for four weeks offering highly intensive course work in Arabic. Classes run from Monday to Thursday, from 10:00 a.m. to 3:00 p.m. Experienced instructors use a proficiency-based approach that emphasizes all five skills: listening, speaking, reading, writing and grammar. Arabic is the main language of instruction. Classes are held in technologically advanced classrooms. The program offers formal instruction in language that is enriched by immersion in an authentic cultural context. Cultural activities include weekly lectures on topics related to Arab history, society, and culture with a special focus on Oman. The program is highly demanding. As such, students are expected to be totally committed to attending classes and doing homework on a daily basis. The typical daily workload in the Sabla program entails 4 hours of classroom instruction and a minimum of 2 to 3 hours of homework. For more information, visit www.sqcc.org. Tuition: None but students will be required to purchase comprehensive international health and travel insurance (typically around $100), and round-trip airfare to Washington-Dulles International Airport (IAD). Synopsis: The Sultan Qaboos Cultural Center (SQCC) offers 30 scholarships per year to the Summer Arabic Language and Media (SALAM) in Manah, Oman. This competitive study-abroad scholarship is available to undergraduate and graduate students studying in the United States. Classes are held 8:00am to 1:30pm Sunday through Thursday. Students will study Modern Standard Arabic, Media Arabic, and Omani dialect. In addition to classroom language instruction, students will have access to Omani peer language partners, organized weekend trips around Oman, extracurricular activities, and weekly lectures. Applicants must have a passport that is valid until 6 months after the end date of the program. Recipients of a SALAM scholarship will be required to participate fully in all classroom and SALAM-organized activities while in Oman. Please note that the focus of this program is Arabic language study, and that Manah is a small town with limited recreational activities beyond those organized by the program. Funding decisions are determined based on the strength of the application and its relevance to SQCC’s mission of fostering understanding between the U.S. and Oman. The application period for this scholarship runs from September – December. For more information, visit www.sqcc.org. SQCC is a division of the Embassy of the Sultanate of Oman to the United States. Target Student Profile: CAMES gives admission priority to academics and students who apply to these courses as part of their academic and professional careers. Prerequisites: All applicants are required to have completed at least one semester of college or university study(in any field) before being admitted. Scholarship Availability: Some funding is available. For more information check this link. A seven-week program (19 June – 07 August 2018) in Arabic Language and Culture designed for students interested in developing overall proficiency in Arabic in both its Standard and Lebanese varieties. The program provides integrated instruction in classes in both Standard and Lebanese Arabic (based on the tasks and contexts involved). Emphasis is placed on the development of the various skills within a communicative, proficiency-based framework and special attention is given the development of intercultural competence in Arabic. This program provides instruction at different levels of proficiency: Introductory, High Introductory, Intermediate, High Intermediate, Advanced, High Advanced, and Superior. Students receive 9 credit hours for this program which can be transferred to their home institution. A seven-week program (19 June – 07 August 2018) in Lebanese Arabic (LA) that offers intensive instruction at two levels: Introductory and Intermediate. The program is designed for students who want to devote their attention to the development of proficiency in LA and thus places heavy emphasis on the speaking and listening skills and on building intercultural competence in LA. The Introductory Lebanese Arabic class is for students with no previous exposure to Arabic. The Intermediate Lebanese Arabic class has a prerequisite of one year of prior study of Arabic. The Lebanese Arabic program offers students 9 credit hours which can be transferred to their home institution. Both programs are highly demanding so students are expected to be totally committed and ready to attend classes and do homework on a daily basis. The typical daily workload in both these programs entails 6 hours of classroom instruction and a minimum of 4 to 5 hours of homework. Scholarship Availability: Not available to visiting students. 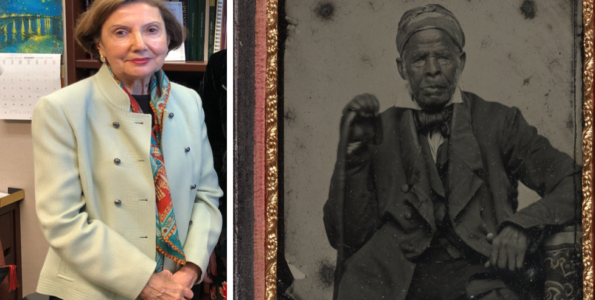 Synopsis: UVA’s Summer language Institute (SLI) offers Arabic Level One and Arabic Level Two. Level One students will learn the equivalent of two semesters of Introductory Arabic (8 credits) in an eight-week period. Level Two students will learn the equivalent of two semesters of Intermediate Arabic (8 credits) plus an introduction to Levantine Colloquial (1 credit), for a total of 9 credits. SLI students attend classes 5 days a week, up to 6 hours a day, with additional programming in the evenings. The SLI attracts a diverse community of learners who come to the SLI for a wide range of academic, professional and personal reasons. The program’s intimate environment coupled with the faculty’s commitment to teaching maximize opportunities for students to practice and to refine their language skills inside and outside the classroom. 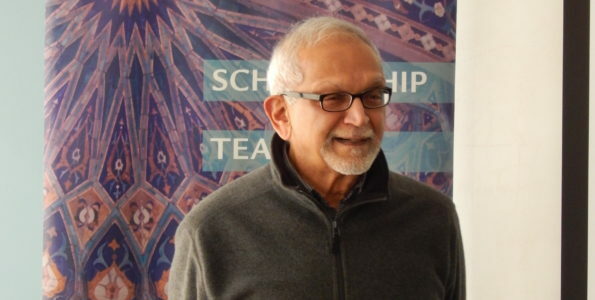 Synopsis: The International Institute for Languages and Cultures (INLAC) aims to foster dialogue between cultures and peoples, especially between the Islamic world and the West. The global unrest and the tragic events of September 11, 2001 have highlighted the urgency of promoting communication between civilizations and societies, especially the youth of the Islamic World and the United States. INLAC was founded as a structured forum for such a communication through both academic and cultural channels. 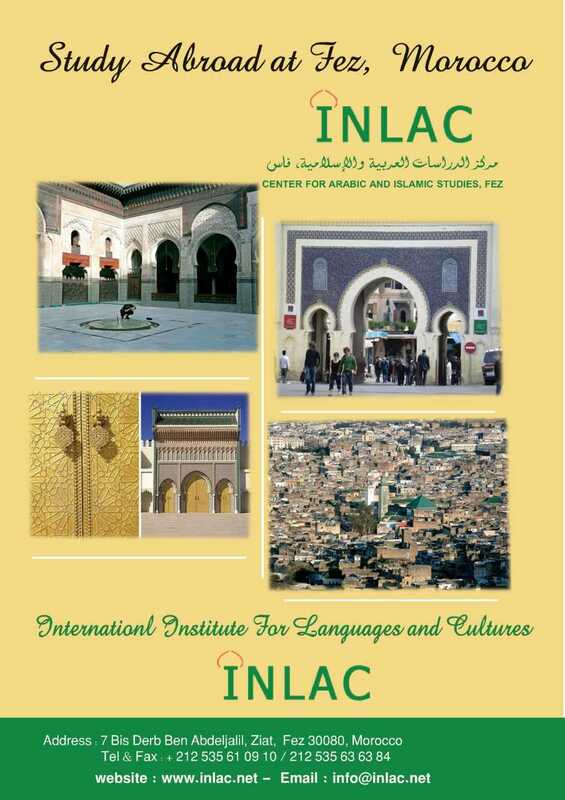 INLAC is a private non-profit institute which is accredited by the Moroccan Ministry of Higher Education. 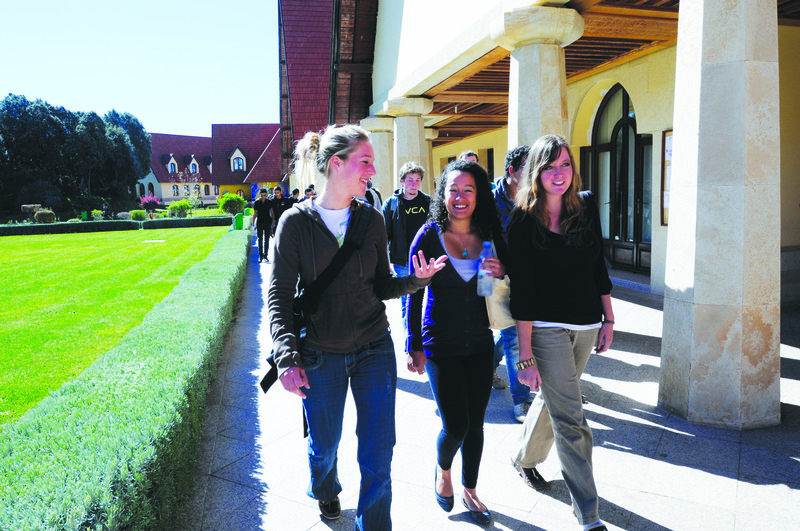 It welcomes students from top International, American and European universities and offers a combination of courses, seminars and homestay in a unique environment. Its facilities include a modern library, seminar and screening rooms, and a computer language lab, as well as offices for program directors, faculty, and staff. Language: The language program is divided into 3 major levels: beginners, intermediate and advanced. All these levels include the four major skills: reading, writing, speaking and listening. Our approach is mainly communicative. We believe in interactive and dynamic methodology. In most of our classes, students are given good chances to practice and develop their speaking, listening, reading and writing skills. Special emphasis is put on communication, grammar, vocabulary and conversational skills. Placement Test: The placement test will evaluate the skill level and place the student in the right class. Culture: Parallel to the language program, we have cultural activities that include Arabic literature, Calligraphy, Arts of Morocco, Arab society, Arab media, Arab and Berber music, Middle East political issues, Arab culture and customs, and Moroccan cooking. Advanced programs include culture, basic courses in Arabic literature, Qur’anic reading, and translation. Inlac offers standard Arabic courses of different durations for students and professionals coming as individuals or as groups. Textbook: The main textbook used is ‘Al-Kitaab Series’ (Alif Baa, Al-Kitaab I,II,III). This is in addition to other materials and activities. Scholarship Availability: CET offers its students $300,000 in scholarship awards each year. Decisions are based on financial need. Each student automatically receives a scholarship application when applying for admission to a program. Admissions decisions are need-blind—CET reviews a student’s scholarship application only after reviewing the program application. Award amounts range from $500 to $1,500. Housing Availability: You’ll share an off-campus apartment with local roommates and other CET students. Apartments offer you the opportunity to live in a local community and adopt an authentic Jordanian lifestyle. The apartments are also fully furnished, air-conditioned, and only a 10-minute walk from campus. Visa Sponsorship: CET provides instructions and assistant during the visa process but does not process student visas to Jordan. The price of a visa is included in tuition. Synopsis: Want to improve your Arabic fluency by leaps and bounds? CET Jordan provides just the context. The program features rigorous courses in both formal and informal Arabic, language partners, local roommates, and a full-time language pledge. You’ll take an official Oral Proficiency Interview at the end of the term, perfect for adding to a résumé or grad school application. Arabic-based content courses and excursions—around Amman and throughout Jordan—will challenge your preconceptions and teach you to speak diplomatically about issues ranging from corruption to women in the military. From filming a tourism video to learning a folk dance, CET Jordan will give you chance after chance to experience the diversity and vibrancy of Arab culture. This program is for serious students with at least 2 semesters of previous Arabic language study. Prerequisites: All visiting students with prior language experience must take our language placement test and participate in a short interview with a language instructor. Scholarship Availability: We offer partial scholarships ranging from $500 – $1500. All students who apply by our Priority Deadline, March 19, 2018 will be eligible for scholarships, and all students who apply by our Early Bird Deadline, March 2, 2018, will also receive $200 off tuition. Housing Availability: We offer on-campus housing through the Summer Institute at additional cost. Housing estimates include all bills and utilities, but does not include board. We cannot accommodate students under the age of 18 for housing. Target Student Profile: University students or anyone interested in learning Arabic starting the age of 18. Prerequisites: All students will be required to take the online placement test once they are admitted in the program. Students who cannot take for any reason can take the on-site placement test on the first day of each session. Prior to the start of the program, instructions will be sent to each student. Prices listed below are for tuition, application fee ($150), housing on campus in a double room (en-suite bathroom) with a Moroccan roommate, all meals, all travel expenses associated with scheduled class travel, library, recreational facilities, and basic health insurance, textbooks, pick-ups and drop-offs. Airfare is not included. Scholarship Availability: Yes, the program offers either 75% of the amount of the track or 50% or 25% depending on the applicants’ files. Housing Availability: Students have the choice between the housing that is available on campus or the family homestay. Synopsis: Ever since the program has opened its doors, more than 950 participants from 38 nationalities, have come to the Middle Atlas Mountains in Ifrane, in Morocco, to meet positively their expectations. The ARANAS core curriculum provides the foundation to increase proficiency at every level in Arabic speaking, writing, reading, and listening skills. More than a program that helps students develop and sharpen their language skills, it is an open window on the Middle Eastern and North African arena. The classes introduce cultural material that highlights a great immersive experience in the Moroccan culture. Students will meet opportunities where they could get acquainted with their new environment through club activities and excursion to places such as the sand dunes of southern Morocco, the historical medina of Fez, the city of Marrakech, and the city of Tangier. The North African Studies courses address a wide range of topics, from the Islamic Civilization and Issues in Contemporary North Africa, to North African Literature and Moroccan Cinema. ARANAS is a tight-knit, global community that continues to evolve with every opportunity. We are proud of an educational environment where you shall be able to realize your potential as 21st-century global citizen. Please feel free to contact us at arabic@aui.ma. We are here to answer your questions, share our knowledge, and guide you through the application process. An exciting educational adventure awaits! We are eager to hear from you. The program accommodates students from all university level backgrounds from Beginning to Advanced levels and responds to their specific needs. Al Akhawayn University provides scholarships for the Arabic and North African Studies summer program. These Scholarships cover up to 75% of tuition and housing costs. If interested, please fill out the scholarship form at http://www.aui.ma/en/arabic/scholarships.html. The link to the application form is: https://my.aui.ma/ics/Apply_Online.jnz. Prerequisites: Students must have had at least half an academic year of Ottoman instruction. Complete beginners are not eligible to apply. It is essential that you give details about your prior Ottoman instruction on the application form. Knowledge of Arabic and/or Persian is preferred, but not necessary. Synopsis: Koç University’s summer program is designed to develop the student’s reading and comprehension skills of Ottoman language using a variety of content including documents, manuscripts, and epigraphic materials, and includes Arabic and Persian classes to supplement Ottoman reading skills. 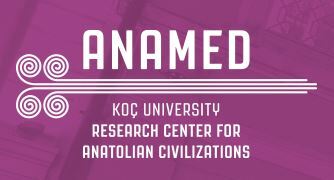 It takes place at the ANAMED research center in Istanbul, where students have full access to ANAMED library and have guided trips to Suleymaniye Manuscript Library and Prime Ministry’s Ottoman Archives. Target Student Profile: This course targets absolute beginners of Arabic. Tuition: The course fee is EUR 800, including course materials and three excursions. Housing Availability: NVIC has a few guestrooms that it will make available to participants at affordable prices (on a first come first serve basis). Among our other services are assistance in finding housing in Cairo, airport transfers, and advice on your stay in Egypt. Synopsis: This intensive course aims to develop students’ basic knowledge of Modern Standard Arabic (MSA) and Egyptian Colloquial Arabic (ECA). Through an integrated method approach, students will learn how to read and write using the Arabic alphabet and how to conduct short conversations with native speakers in Egypt. Grammar and vocabulary acquisition is also an essential part of this course. The course focuses on the four language skills (reading, writing, speaking and listening), and is based on a communicative approach where communication between instructor-students and students-students is the main tool of teaching. Arabic texts are used in class activities and for homework too. The course also makes use of peer-work and games in the classroom in order to enhance communication. Identify and actively use the Arabic alphabet. Be familiar with the differences in sounds and basic structures between MSA and ECA. Produce and comprehend accurately the basic structure of Arabic such as the verbal and nominal sentence. Read names, street signs, and simple texts. Use ECA to conduct short conversation with native speakers. Demonstrate a general understanding of Arab culture in general and Egyptian culture in particular. Target Student Profile: The program is primarily, though not exclusively, targeted at advanced undergraduate and graduate students. While applicants of different levels will be considered, preference will be given to those who have already achieved the intermediate or advanced levels. Apart from learning in the classroom, students will be able to practice their language skills in conversations with fellow participants from Armenia, Turkey and Iran. MA and PhD students engaged in research and interested in working on particular sources will also be given an opportunity to receive additional guidance on individual basis. Housing Availability: Participants of the program are responsible for finding their own accommodation in Yerevan, which is a very safe and affordable city. Once the list of participants is finalized, we will put them in touch with one another, and those considering shared accommodation options will have a chance to connect with potential flatmates. Synopsis: Mejlis Institute is pleased to announce the opening of applications for the 2019 intensive summer program that will take place between July 15 and August 15, lasting four weeks. The program will consist of three parallel language courses – Armenian, Persian and Turkish – and a series of seminars devoted to topics in connected histories of Armenia, Iran and Anatolia from the medieval period onwards. Dates: In 2019, MSA group sessions start every other Monday through the summer, beginning on the 10th of June (note that we offer classes all-year round), except for the week of the 26th of August, when classes start on Tuesday instead. All Darija classes and all individual and dual classes do not have set session times – you can begin whenever you want! Please, check our website for dates. Levels Offered: A1 to C2 (i.e. complete beginner to proficient). Target Student Profile: University students, researchers and academics, professionals working in the Middle East, holidaymakers, people hoping to relocate to Morocco. Scholarship Availability: Regrettably, we do not offer any scholarships. Housing Availability: We have a flat directly above the language centre where we can accommodate up to 5 students (in two double rooms and one single room). We can also assist you in finding suitable accommodation – here the options range from hostels to hotels, riads, or host families. Get in touch with us if you would like some help with finding accommodation. We charge a service fee of 150 MAD for helping you with accommodation search (payable only if we manage to find you suitable lodgings). Synopsis: We appreciate the complexity of the Arabic language – that’s why we won’t promise to make you fluent in four weeks. But we promise at the end of these four weeks, your linguistic confidence will have improved and you will have acquired new skills and knowledge no matter your starting level. If you join us as a complete beginner, we give you the skills that allow you to continue your studies stimulated but unfazed by the complexity and novelty of the Arabic language. If you are already fluent, you will learn to speak and write with sophistication and rhetorical polish. We value immersive education – that’s why our teachers speak to you in Arabic from day one. You can study either Modern Standard Arabic, Darija – the Moroccan dialect – or both. If you have any specific skills or topics you are particularly keen on learning – reading the news, translation, business negotiations, everyday conversation – we are happy to adjust your learning programme to accommodate these. Our teachers are all university graduates specialising in translation, rhetoric, literature, or Islamic law, and are more than happy to use their personal expertise in tailoring a programme to your particular interests. We also offer extracurricular activities – calligraphy workshops, Moroccan cooking classes, open lectures, trips and excursions – which will help you fully immerse yourself in Moroccan and Arab culture. Prerequisites: Students are requested to indicate their preferred course and level on their application, but are required to complete the ALIF Placement Test before arrival. The Arabic language coordinator may adjust placement according to the student’s Arabic ability. The language coordinator may also conduct an oral interview for placement purposes upon arrival. Scholarship Availability: ALIF does not offer any direct financial aid. U.S. federal government and other scholarship funds, including but not limited to FLAS, SSRC and NSEP grants, can be applied to the cost of study at ALIF. For Fulbright, FLAS, SSRC and NSEP funds, students must apply through the university at which they are matriculated. For further information on these and other funding options, please consult your university department or financial aid office. For funds to be available before study at ALIF, students should commence the paperwork for funding at least 6 months before the date of anticipated enrollment. Visa Sponsorship: Most students automatically obtain a three-month tourist visa upon entering Morocco. Students planning to stay in Morocco longer than three months may apply for a residency visa, provided that they are full-time students. ALIF can help with this process but is in no way responsible for reminding students to do it or for completing documents other than those specifically required from ALIF. Synopsis: Founded in 1982, ALIF has built an excellent reputation as one of the preeminent institutions in the Maghreb for the teaching of Arabic as a foreign language. 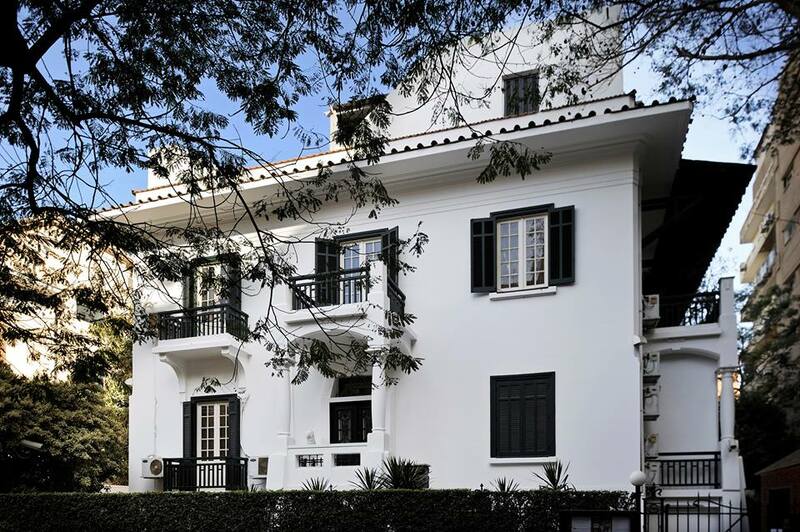 Housed in a large, shady Art Deco villa, ALIF provides an ideal setting for studying in Morocco’s “intellectual capital” and for exploring the historic medina of Fez, one of the world’s few remaining medieval cities. ALIF’s teachers are highly qualified native speakers with years of experience instructing both independent students and study abroad groups from major universities. Former students include translators, Fulbright, FLAS, NSEP, and SSRC grantees, company representatives, and graduate students from major universities in the US and Europe. ALIF resources include an extensive library collection focusing on Arabic linguistics, the Maghreb, Islamic Art and Architecture, and Islam. Our library also has a DVD collection with nearly 1000 films that students are welcome to borrow. The ALIF/ALC Bookstore has a superb collection of books related to Morocco and the Arab world. In addition to language courses, ALIF offers cultural tours, lectures, and classes on Maghrebi literature, media, and Islam. Private courses in any number of subject areas can be arranged. The modest ALIF tuition and low cost of living in Morocco render ALIF a cost-effective alternative for the study of Arabic abroad. 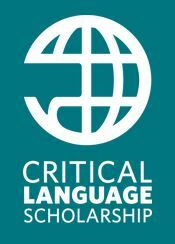 Synopsis: The Critical Language Scholarship (CLS) Program is a fully funded summer overseas language and cultural immersion program for American undergraduate and graduate students. 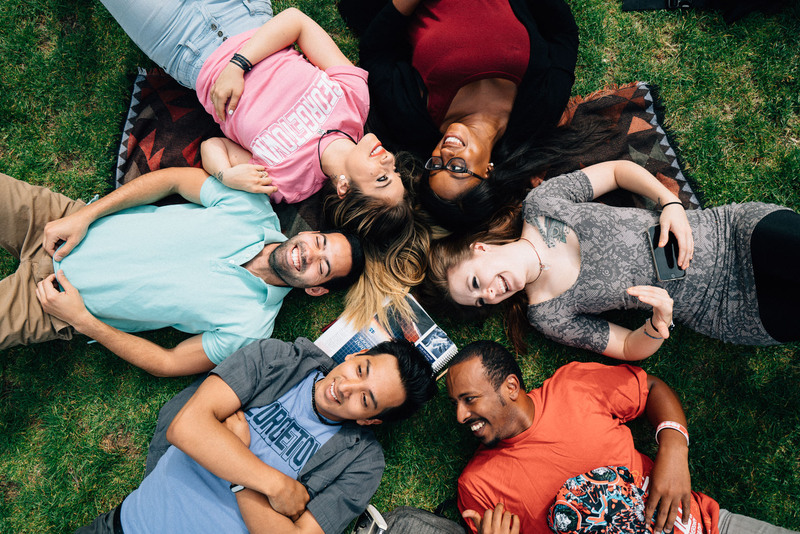 With the goal of broadening the base of Americans studying and mastering critical languages and building relationships between the people of the United States and other countries, CLS provides opportunities to a diverse range of students from across the United States at every level of language learning. Programs in Turkish, Arabic, and Persian are offered, held in multiple countries around the Middle-East and Eastern Europe. CLS is funded through the US Department of State and provides fully funded opportunities for both undergraduate and graduate students to undertake intensive summer language study overseas. Currently 14 languages are funded, many of which are relevant to students of the Middle East and/or the Islamic world, including: Arabic, Turkish, Persian, Azerbaijani, Urdu, Bangla, Punjabi, Indonesian, and Swahili. (Russian and Chinese are also offered, which may be of interest to students focused on Central Asian or Uighur communities.) Students apply to CLS annually in November for funding in the following summer. The program is fully provided and all expenses associated with it, including travel, are paid by the scholarship. Some languages require some amount of prior study, while others are open to beginners. US citizenship is required, but the program is open to all fields of study and all career paths. There is no service obligation – all that is expected is a serious commitment to mastering a language. Synopsis: The UW-Madison Arabic, Persian, and Turkish Language Immersion Institute (APTLII) is a residential summer language immersion program for undergraduates, graduate students, and professionals. Courses are offered for academic credit at the beginner, intermediate, and advanced levels (depending on sufficient enrollment). Students commit to using their target language as their only means of communication for the entire summer – in class, in their shared living space on campus, at meals, and at co-curricular activities that combine to create a language immersion experience. Each 8-week language class is equivalent to two semesters of study, with full academic year credit. Instruction is given in small groups taught by native speakers and experienced language teachers. The classes are intensive, involving a minimum of 4.5 hours contact hours Mondays through Fridays, plus extra hours for homework. Synopsis: The proficiency-based curriculums feature 20 contact hours with a professor weekly, alongside weekly language tables where students engage in conversation, meet native speakers, and learn more about target cultures. Further information available on the websites for the individual languages. 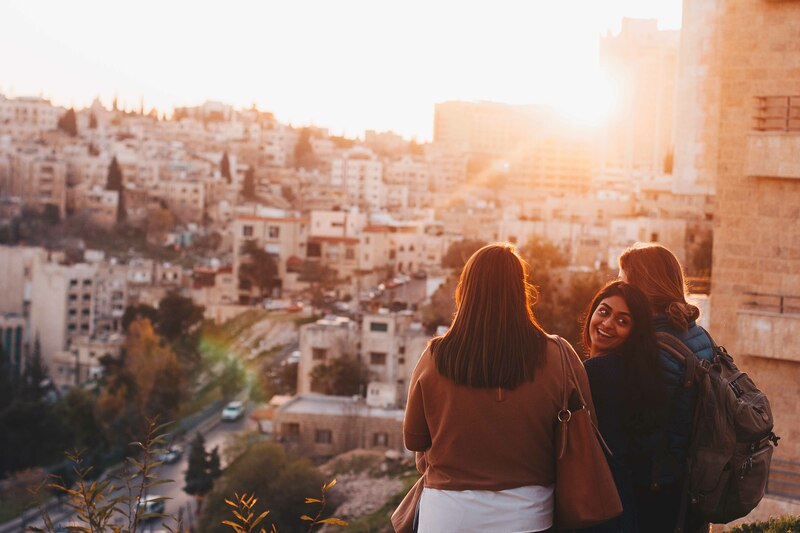 Synopsis: Students in the CIEE Study Abroad Beginner Arabic program will have the opportunity to travel to Amman and learn Arabic with a dedicated mentor and exposure to Arabic culture. In addition, students will visit historical sights and museums, see plays at theatres, and explore Jordan’s biblical sites and desert castles. Classes will be taught entirely in Arabic, encouraging students to learn in an immersive environment. Synopsis: Students will spend 2, 4, 8, or 12 weeks at the Qalam wa Lawh Center in Morocco, learning Arabic in an immersive environment while being exposed to local culture and customs. Students will have daily classes in Arabic (Modern Standard Arabic or Colloquial Moroccan Arabic), alongside volunteer opportunities and lectures in English, Arabic and French covering key social, political, and economic topics related to Morocco. 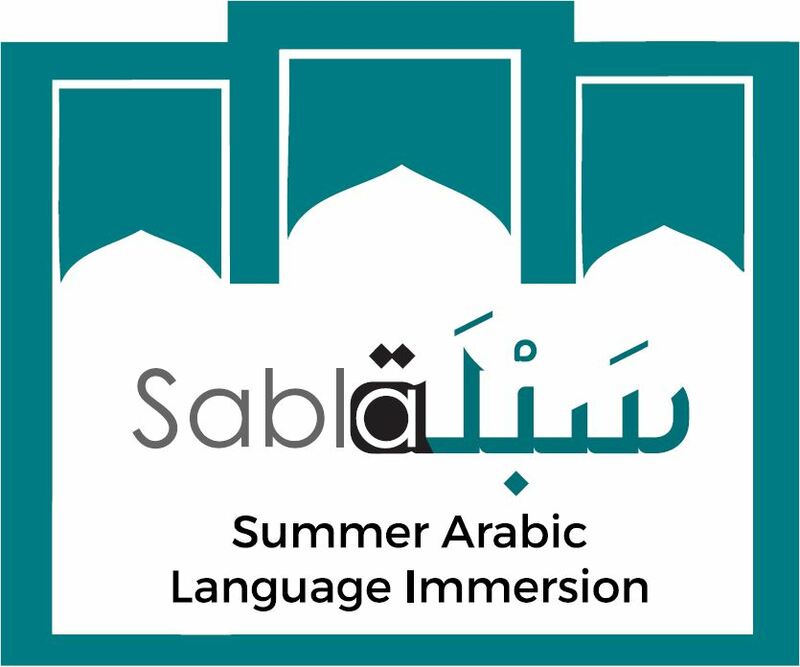 Synopsis: A ten-week program, equivalent to one academic year, at the University of Texas at Austin, the Arabic Summer Institute Program offers lessons in Arabic at multiple proficiency levels to interested college and high school students. With the largest full-time Arabic faculty in the country, more courses at all levels of Arabic, and a thriving events and cultural environment, UT’s Department of Middle Eastern Studies is now rated among the best in the country. The program features lessons in reading, writing, speaking and listening, alongside lectures and weekly Dardasha classes, providing a well-rounded and comprehensive Arabic learning experience. 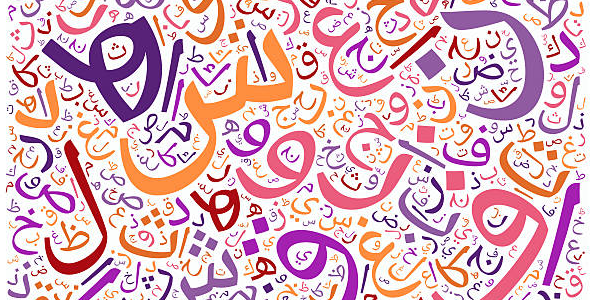 Synopsis: Students at all three levels offered at the Summer Language Institute will take intensive classes over the summer, learning the intricacies of the Arabic language and Arabic culture. Beginning and Intermediate courses in the modern languages are designed for students wishing to develop proficiency across all four language skills: speaking, listening, reading, and writing. The intensive approach of these courses and the concentrated environment of the summer schedule help students to make quick progress. Our courses often enable students to progress at a speed that is the equivalent of a year or more of instruction during the regular academic year. Synopsis: Summer Intensive Intermediate Turkish enables students to develop strong intermediate speaking, listening, reading and writing skills and further solidify their foundation in grammar and vocabulary. Students study Turkish as it is used in authentic media, literature, and film, and gain familiarity with Turkish culture and civilization. The course will also address the needs of those preparing to study Ottoman. The first half of the course emphasizes completing skills acquired in Beginning Turkish and improving competency, while the second half supplements this with an introductory sampling of excerpts from Turkish literature and texts, ranging from late Ottoman and early Republican period to the present time. Students will meet for 25 hours per week, including class time with the instructor, and time spent with native language assistants. Several hours will be allocated each week to cultural activities such as films, presentations, and conversation tables organized around Turkish lunches and teatime. Synopsis: The Arabic summer program at the University of Arizona at the School of Middle Eastern and North African Studies (MENAS) is a rigorous, immersive program that adopts the proficiency-based approach and emphasizes cultural literacy and the use of technology. The MENAS Arabic Summer program offers a variety of in-class and co-curricular activities, including Arabic-speaking housing. Three levels of Arabic are taught by dynamic, innovative and experienced teachers in a supportive and culturally-rich environment. Synopsis: The Turkish in the Mediterranean program is an eight-week summer program based in Famagusta, Northern Cyprus. The Turkish in the Mediterranean courses are held on the campus of Eastern Mediterranean University, one of Cyprus’s most preeminent institutions of higher education. The program offers beginner, intermediate, and advanced courses in the Turkish language. 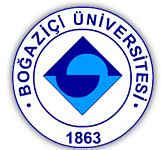 Synopsis: The Turkish Language and Culture Program at Boğaziçi University in Turkey offers summer courses in beginning, intermediate, and advanced Turkish. Students will stay in Turkey from June to August, taking intensive classes in the Turkish language and learning about Turkish culture. 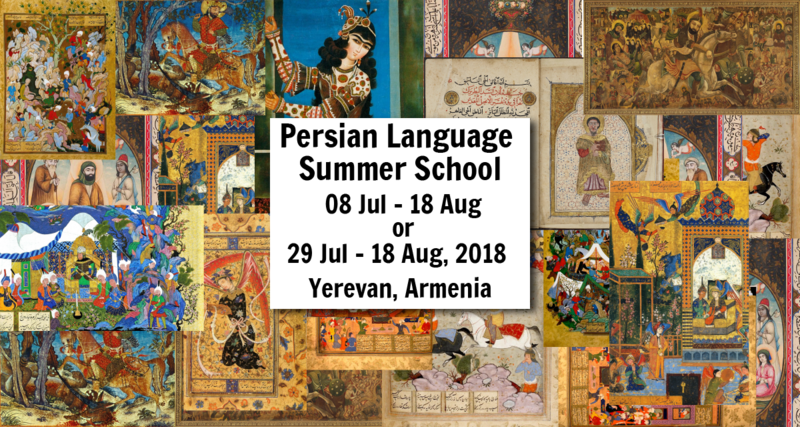 Synopsis: This 42 or 21 days summer school offers participants to master skills in written and oral modern Persian, reading and interpreting Persian texts from different periods as well as rapidly deepening their knowledge in colloquial Persian. During the summer school several cultural trips will be offered, which will transform your stay in Armenia into an unforgettable, academically oriented endeavour. On the first day the program will be launched in Garni, built by king Tiridates I in the first century AD as a temple to the god Mithra/Mihr. In the evening the group will travel to Yerevan for an opening dinner. Classes will start on July 9th or July 30th and will include lectures, seminars and presentations. Two times a week classes of Persian language will be followed by a lecture on different topics of Iranian linguistics, literature and history. Housing Availability: Students live with host families as part of the program. Visa Sponsorship: USINDO will process the student visas at the Embassy of Indonesia in Washington, DC. Students MUST possess a passport that is valid at least until December (of the program year), AND must have at least four blank visa pages in their passport. Synopsis: For more than 22 years now, USINDO with the generous support of the Freeman Foundation has held the USINDO Summer Studies Program. This is an intensive ten-week language and cultural studies program held from May to August, in Yogyakarta, Indonesia. It is open to U.S. university juniors or seniors, or graduate students, currently enrolled in an undergraduate or graduate degree program, as well as recent graduates (within 6 months) of any U.S. college or university. Participants are selected in a competitive application process. The 2018 Summer Studies program will begin on 23 May and end on 01 August 2018, including a 10-day term break to accommodate the Islamic holiday of Eid al-Fitr. In addition to the language course, field trips, cultural programs, and volunteer work opportunities with local organizations in Yogyakarta, the program also includes a post-program event in Jakarta that is designed to broaden the students’ perspective, knowledge, and exposure to contemporary issues facing Indonesia, while also giving them the opportunity to network with government officials, experts, academics, NGOs and private sector. Synopsis: SEASSI’s success over the past 35 years is based on the fact that the institute takes language instruction very seriously. SEASSI is committed to performance-based teaching in all four skill areas of language instruction (speaking, listening, reading, and writing) and emphasizes a communicative approach to instruction. In other words, classroom activities are designed to quickly get students speaking, listening, reading, and writing in the target language as it is typically used in everyday life. Other modes of instruction, such as self-study guides and computerized or internet-based language learning modules are not able to help students achieve high levels of proficiency. Most language specialists agree that the instructional approach used at SEASSI is the best mechanism for obtaining high levels of proficiency in a second language. Course instruction is offered in the following languages at the first, second and third year levels: Burmese, Hmong, Indonesian, Khmer, Lao, Tagalog, Thai and Vietnamese. In previous years, we have also offered Javanese language classes. Scheduling of classes is contingent on sufficient enrollment, especially at the upper levels. Each language course is equivalent to two semesters of study, with full academic year credit. Instruction is given in small individualized groups taught by a team consisting of a coordinator (usually a linguist specializing in Southeast Asian language pedagogy) and teachers who are native speakers of that language (SEASSI faculty page). Instruction is intensive. Classes are held from 8:00 am to 12:30 pm, Mondays through Fridays. Most students find that they spend an additional three to four hours per day on homework. Synopsis: The Intensive Ottoman and Turkish Summer School provides instruction in reading and translating ottoman manuscripts and printed texts, develops skills in paleography for reading original archive documents, and teaches Persian, modern Turkish, and Karamanlidhika. Synopsis: Students and professionals interested in Kurdish language and culture are invited to participate in a four-day, intensive Summer School of Kurdish Studies. Each day’s program will consist of three sessions on Kurdish language and history followed by an evening film screening or cultural presentation. This course examines the Kurdish language, its dialects according to their geographical distribution, and its genetic affiliation with other languages and presents some core structural properties of Kurdish. By the end of this class, students will be familiar with the typology and general linguistic properties of the Kurdish language and also with the Kurdish alphabet, writing system and sound system. This course covers selected themes in the history of Kurds of the Ottoman Empire, from the sixteenth to the early twentieth centuries. After a general introduction, sessions will focus on the Kurds’ reaction to Ottoman centralization policies and on Kurdish educational and publishing activities. 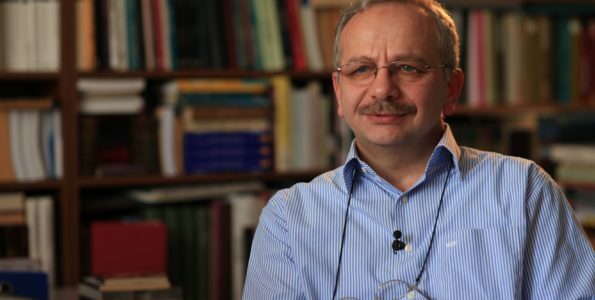 This course introduces several key intellectual figures from Kurdish history, including Ehmedê Xanî, Saidi Nursî, and Cigerxwîn. The overall framework of the course combines intellectual history and sociology of knowledge. Each figure will be discussed in terms both of their ideas and their historical context.